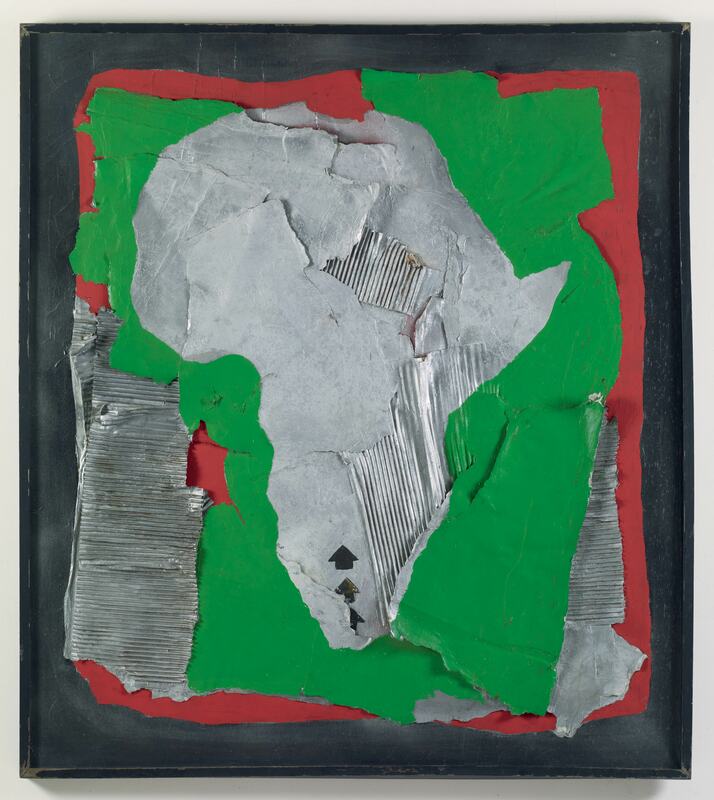 In Pan African Direction III, the form of the African continent stands out in silver against a green and red background. By using Africa as the central image, Davis acknowledged the international cultural influences that shaped his own identity as well as that of the larger community of African Americans in Southern California. With his brother Dale Brockman Davis, Alonzo Davis founded Brockman Gallery in 1967. Like Suzanne Jackson's Gallery 32, Brockman Gallery was an artistic hub exhibiting the work of black artists such as Charles White, John Outterbridge, David Hammons, and Romare Bearden. "Pan African Direction III." Now Dig This! Art in Black Los Angeles, 1960–1980 Digital Archive. Los Angeles: Hammer Museum, 2016. https://hammer.ucla.edu/now-dig-this/art/pan-african-direction-iii.